Zoëtry Paraiso de la Bonita Riviera Maya, an ultra-luxury boutique resort, offers a completely new kind of vacation experience focused on wellness, serenity and romance, as well as social and environmental responsibility. The Endless Privileges® experience automatically gives guests limitless access to all the pleasures Zoëtry Paraiso de la Bonita has to offer. This includes in-suite accommodations and amenities such as twice daily refreshed mini-bar, day and evening meals at our gourmet restaurants — with additional snacks at your leisure available throughout the day — unlimited top-shelf spirits and many other activities and services. As part of the benefits of Endless Privileges®, guests will be treated to a complimentary Thalasso Seawater Treatment. The treatment begins with a welcome ritual in the steam room, to soothe and loosen muscles followed by a Thalassotherapy Saltwater Pool treatment to open pores and relax muscles. Next, guests will enjoy a brief Kneip therapy, a therapeutic alternating application of hot and cold water to revitalize the body and immune system and promote detoxification. The treatment will cleanse and invigorate your body leaving you refreshed. Book your wellness retreat today! The outdoor Hydrotherapy sea-water pool at the Thalasso Center & Spa available to heal, revitalize and detoxify. 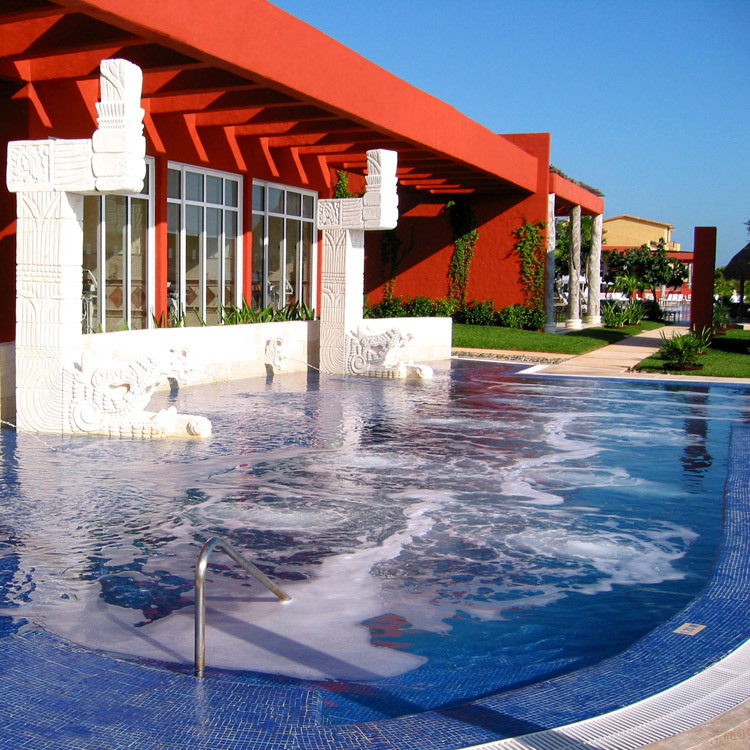 This entry was posted in Zoëtry Paraiso de la Bonita, Zoëtry Wellness & Spa Resorts and tagged Endless Privileges, Spa, spa treatment, Zoetry Paraiso de la Bonita Riviera Maya. Bookmark the permalink.